Rolling Thunder från IronMind är ett tjockt handtag som är 61 mm i diameter. Handtaget är lagrat runt sin egen axel. Man hänger vikter i det och lyfter på samma sätt som i ett enhands marklyft. Rolling Thunder tränar i första hand musklerna som styr fingrarnas andra och tredje led, tummens andra led, handledens böjare & sträckare, men även biceps & triceps, samt axlar och rygg. Världsrekordet för herrar, sattes av Alex Tyukalov 27 Juli 2013 med 150,5 kg. Världsrekordet för damer, sattes av Ludmilla Gaiduchenko 22 September 2012 med 77.2 kg. Martin Brandberg lyfter 98 kg i RT och vinner därmed Kungsbacka Rolling Thunder Contest med god marginal. Celebrating its Sweet-16 birthday, this year we've gone back to the drawing board and done a complete overhaul of the Rolling Thunder, and the result is an object of beauty in both form and function: a combination of precisely-shaped steel and polymer, our Rolling Thunder handle rotates as smoothly as silk and is as solid as a samurai. Let the grip times roll! Hook up the Rolling Thunder to one of our loading pins and clips (not included) for one-hand deadlifts, doing either reps or holds. 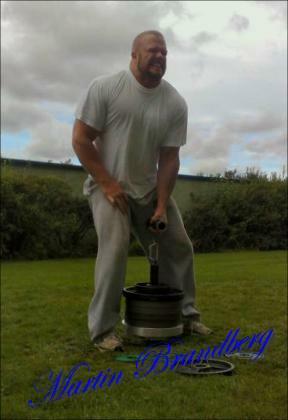 Then see how you compare to some world record lifts on the Rolling Thunder page on our website at www.ironmind.com. Not just a favorite among the world's leading strongmen and gripsters, the Rolling Thunder is a tool of first choice for everyone from arm wrestlers to rock climbers. 1. 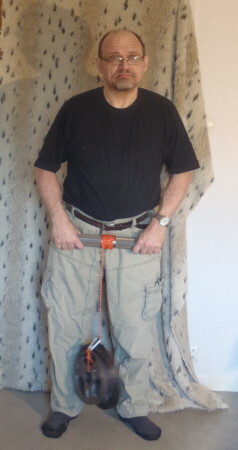 An authentic current-model IronMind® Rolling Thunder® handle must be used, it cannot have been modified in any way, and it must be inspected to ensure that it revolves freely: holding the handle, lift the triangular metal frame and rotate it until it is horizontal (parallel to the ground). 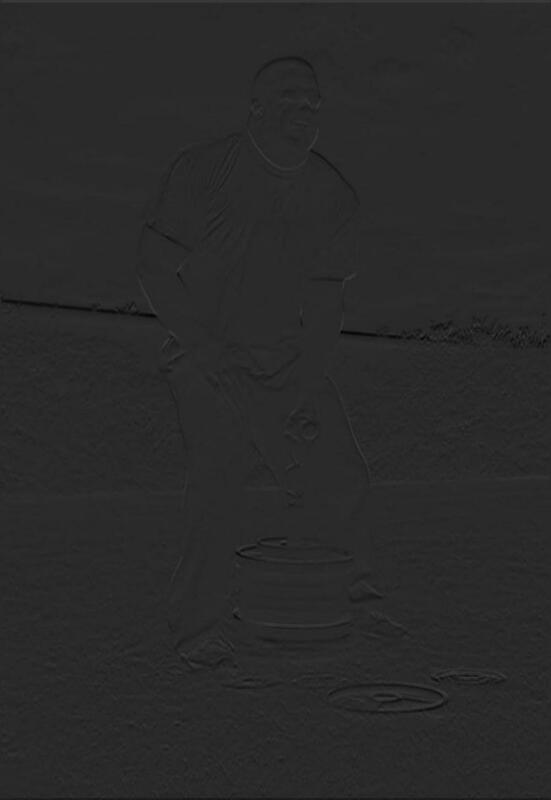 Release the metal frame to demonstrate that it rotates back to its original vertical position (pointing toward the ground) under its own weight. The lift starts with the weight in between the lifter’s feet. 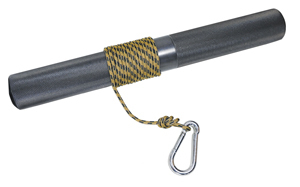 In the world championships (and the U.S. nationals), the 15" loading pin and large carabiner that IronMind® sells are used (this standardizes the lifting height). 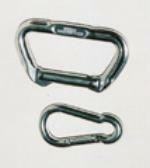 Any other loading pin and carabiner with the same dimensions can be used. 4. The lifter must fully straighten up (back erect, legs and hips locked out); once standing straight, the lifter must maintain control of the lift for 1 second before getting a down signal from the referee, and must then return the weight to the ground. 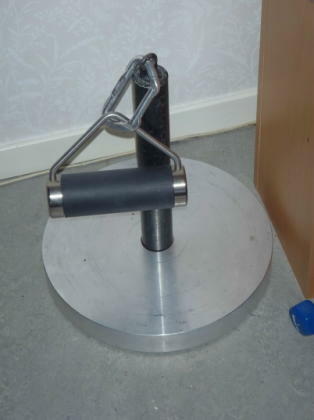 Contact must be maintained between the lifter's hand and the handle until the weight is resting on the floor. The referee then indicates whether the lift was passed or not. 5. In contest situations, we give the lifter 1 minute to complete the lift after his/her name is called; during that minute, there is no limit to how many times the lifter may try to complete the lift. 6. Ordinary chalk (magnesium carbonate) may be used on the lifter's hand, but nothing else is permitted (tacky, for example, is specifically disallowed). 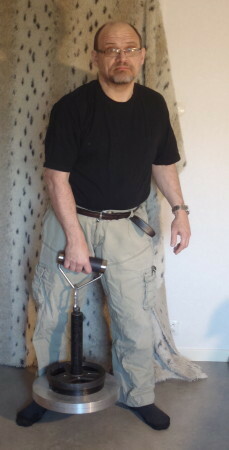 * Rolling Thunder - revolving deadlift handle från IronMind är ett 61 mm tjockt roterande marklyftshandtag. * Loading Pin från IronMind är ett viktigt tillbehör, när man kör Rolling Thunder, pinch och enhandslyft, man lägger på skivstångsvikter och hakar fast redskapet i loading pin och lyfter. Finns i 50 och 25 mm´s diameter. 844kr/st. resp. 449kr/st - En karbinhake ingår. - Totalt 1092kr inkl. frakt. - Paketpris 1798kr inkl. allt. 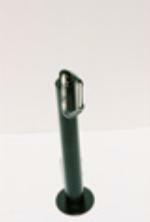 - Paketpris 2998kr inkl. allt.